Nutmeg is primarily used as an aromatic spice in foods. But, it has also been indicated for various medicinal purposes including treatment of psychosis, flatulence, and diarrhea. However it has also been recorded as an aphrodisiac and hallucinogenic when taken in high quantities. Oddly, there is some indication that it is also a naturally occurring pesticide. Nutmeg essential oil comes from the nut or seed of the fruit of an evergreen tree that is scientifically named Myristica fragrans. The fruit of the nutmeg tree or Myristica fragrans is yellow and fleshy; it contains the nut that the tree has become so well known for and where the alluring aromatic nutmeg spice and oil comes from . It is believed that nutmeg originated in the Banda Islands of modern Indonesia (the “Spice Islands”), or what is known as the Maluku Province of Indonesia. Historically in ancient Egypt and Rome nutmeg was used as incense for burning – it was a spice for the privileged as it was quite costly at that time [1, 2]. And in medieval times, nutmeg was an expensive flavoring, medicinal and preservation agent in Europe . Sometime during the seventeenth century the Dutch dominated the nutmeg trade and later Britain monopolized the trade, having acquired seedlings from the Banda islands themselves – clearly it was a desirable commodity even back then! There was actually a period, prior to British dominance of the trade, when the English believed nutmeg could ward off disease – specifically the bubonic plague — which might give us some understanding as to why they went to Indonesia to get the seedlings in the first place. Fortunately, today nutmeg in all forms is financially approachable and has adopted an array of different uses – including, but not limited to olfactory, food and medicinal uses. The essential oil of nutmeg is acquired through a steam distillation process and is pretty much colorless, although it could be sometimes said to have a pale yellow hue. 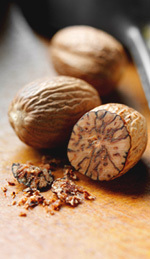 It is the oil that can take the credit for the spicy nutmeg smell that nutmeg is so well known for. The oil contains 60%-80% d-camphene as well as d-pinene, limonene, d-borneol, l-terpineol, geraniol, safrol and myristicin . It is the myristicine that is mostly responsible for the psychoactive properties of nutmeg . 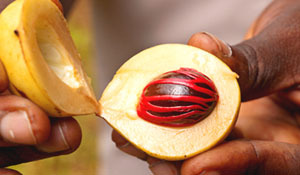 While it is important to know that nutmeg is not used as a hallucinogenic in traditional Indonesian culture, it is still no wonder that nutmeg has been traditionally used to combat anxiety and psychosis, given how it has been known to act on the central nervous system with euphoric and hallucinogenic properties. But it has also been traditionally used for many other purposes, such as combating diarrhea, flatulence, rheumatism, cholera, stomach cramps and nausea. While nutmeg is traditionally used for aiding the digestive and nervous system, it is probably best known for its aphrodisiac properties – that’s right, nutmeg has become known as a spice that really does spice things up ! Nutmeg is probably most interestingly used to treat psychosis. Why this is so interesting is because nutmeg itself is a psychomimetic substance and has been abused as such by adolescents, students and prisoners. For something to be used as a psychomimetic means that the substance “mimics” psychosis, and for something that mimics the very symptoms of something it is used to treat – namely, psychosis – is indeed very peculiar. Although it is probably worth noting that the not so wonderful taste, limited potency, and unwanted side effects make its abuse relatively rare in comparison to other substances . Nutmeg essential oil isn’t just used for the medicinal or pharmaceutical purposes explained above. It is also widely used as a food flavoring in meat preparations, liqueurs , syrups, drinks, baked goods and sweets, and of course we all know the wonderful flavor it adds when sprinkled on top of eggnog ! 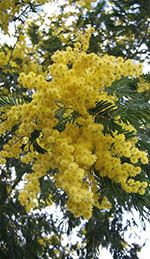 It has also been widely used in ancient and current Indian culture as well as in other cultures as a scent for perfumes . Another lesser-known use of nutmeg is as a pesticide due to its quantity of myristicin (the main compound in nutmeg essential oil), which is a naturally occurring type of pest repellant. 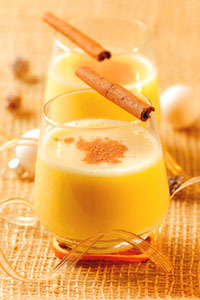 A lot of food spice blends contain nutmeg, such as apple pie and pumpkin pie spice mixes. 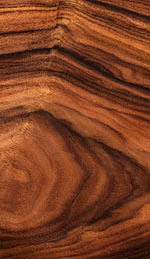 Additionally, however, there is one study indicating that nutmeg and camphene oil, when inhaled in combination, may contribute to the alleviation of respiratory conditions. In the study – which was unfortunately done on lab rabbits – when nutmeg oil was inhaled it acted on the bronchomucotropic activities of the respiratory system, that is to say that the mechanisms of mucus augmentation was no longer active . Additionally, in combination camphene and nutmeg inhalation may act as a pharmacological expectorant  – which is just a scientific way of saying that something clears up mucus and lubricates the irritated respiratory tracts in the process . However, further study that needs to be done on this topic before anything can be said for certain. Although nutmeg has traditionally been used for medicinal purposes, there aren’t any recognized medicinal uses of the essential oil. It is also important to note that although lab tests have indicated central nervous system intoxication in lab experiments, the same effect has not been yet seen in humans. It is the compound myristicin that acts as a point of concern in some cases as it is possible that it may act as a serotonin receptor agonist (activates the receptors) and as a hallucinogenic. However, the amount of myristicin in nutmeg is so low that it’s unlikely to have any negative effect – although doses of myristicin as low as the equivalent of two whole nutmeg nuts did induce episodes of reduced alertness . As always it is wise to err on the side of caution with essential oils, especially those that do not have documented medicinal qualities. However, when it comes to nutmeg it is certainly safe to say that its use as a spice is more than okay and is definitely a very desirable addition to many wonderful recipes and aromatic preparations. 1. Attokaran, Mathew. 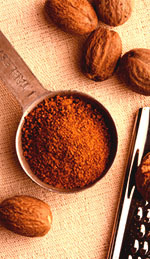 “Natural Food Flavor and Colorants: Nutmeg”. Blackwell Publishing, LTD and Institute of Food Technologists 2011. 2. Barceloux G. Donald. “Medical Toxicology of Natural Substances: Nutmeg”. John Wiley and Sons, INC, 2008. This entry was posted in Essential Oils and tagged aphrodisiac, Essential Oils on February 13, 2010 by Keith Cleversley. Wintergreen essential oil is a natural pain remedy, with anti-rheumatic, anti-inflammatory, astringent, diuretic, antitussive, carminative, emmenagogue, stimulant and galactagogue properties. Indigenous peoples have spent centuries acquiring the knowledge of how to take care of their bodies using natural remedies found in nature. These traditional healing techniques have been fine tuned through the centuries, and the herbal wisdom acquired is passed from generation to generation. One such piece of wisdom is the usage of wintergreen essential oil for natural pain relief and other natural healing benefits; traditionally achieved through chewing the leaves . The oil is derived from the wintergreen plant, scientifically known as Gaultheria Procumbens of the Ericaceae family. It is sometimes referred to by the name “checkerberry” or “teaberry” . In less traditional methods of extraction, the oil from the wintergreen leaves is extracted through steam distillation. First, the leaves are macerated (softened) in warm water. The maceration process is what enables the formation of methyl salicylate (responsible for the pain alleviation) – formed from a glycoside compound, which takes formation while the leaves are being warmed . The pure essential oil is then obtained through the steam distillation of the softened leaves . Methyl salicylate is the beneficial compound found in wintergreen essential oil – the benefit of methyl salicylate is probably what accounts for wintergreen’s precursory use to pharmaceutical aspirin . Once applied topically to the area of inflammation or pain, the salicylates enter the cells through the external tissues and inhibit the formation of prostaglandins  – a group of cyclic fatty acids responsible for swelling and pain reception . This salicylate action then is responsible for the reduction of inflammation and pain that wintergreen oil is so fondly known for . Winter green oil is used to alleviate the pain of arthritis and other joint conditions, acute pain and sensitivity. Due to having similar pain relief properties as that of aspirin due to its methyl salicylate content, wintergreen oil is also used to help with headaches and pain caused by injury . The synthetic version of methyl salicylate is also found in several over-the-counter pain remedies aside from aspirin, such as rub-A535 . These effects are generally acquired through the external application of the oil in a diluted formula . Wintergreen essential oil is also used in formulas or blends that open breathing passages or provide sinus relief, such as the Tei-Fu blend which contains safflower oil, menthol, wintergreen oil, camphor and other essential oils . Often essential oils are blended with other oils for added or enhanced benefit. The oils can also be added to facial oils or facial massage formulas, perfumes, skin creams and other body formulas. However, with all oils used in blends it is important to understand the intricacies of each oil – essential oils are highly concentrated and some can be toxic if used inappropriately . It is incredibly important to understand the proper use of wintergreen essential oil, since it can be toxic if used incorrectly . The oil must be used in modest amounts just like aspirin and other synthesized or organic pain remedy methods that are high in salicylates. Salicylates are a blood-thinning agent that are found in many over-the-counter painkillers and natural foods known for their blood-thinning properties – such as garlic or onions . 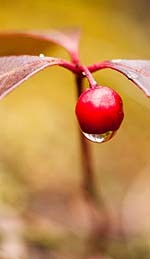 Wintergreen essential oil can be absorbed transdermally (through the skin) and can enter the blood system in this way . As a result it is very important to ensure that it is not overly used or used in the wrong quantities. For illustrative purposes, in a teaspoon of 98% methyl salicylate (the compound primarily found in the wintergreen plant) there are 7 grams of methyl salicylates  – 4.7 grams of methyl salicylate can be dangerous . Some authors on the proper usage of wintergreen and other essential oils suggest that it only be used externally on unbroken skin and that it not be used on wounds or open sores or ingested . Although wintergreen essential oil is used in candies and food in very small micro measured quantities as a flavouring agent, these are scientifically calculated and produced so as to be certain of safety and it should never be used for such purposed at home . In any case, a health practitioner’s advice should always be sought before using something like wintergreen essential oil, which could have toxic effects if used incorrectly. It’s rare to find folks chewing on wintergreen leaves these days, but extracted wintergreen essential oil is an excellent alternative to this more traditional method and probably a whole lot easier to use as well. The oil provides an easily accessible method of preparing the body for the day’s adventures or getting some relief after a hard day’s work! 2. Balch A. Phyllis CNC. “Prescription for Herbal Healing”. Penguin Putnam INC, 2002: p. 142. 3. Dodt, Colleen K. “The Essential Oils Book: Creating Personal Blends for Mind and Body”. Pownal, Vt: Storey Communications, 1996. p. 64. 7. Lerner K. Lee and Lerner, Brenda Wilmoth. “Winter Green”. The Gale Encyclopedia of Science. Detroit: Gale, 2008. Vol. 6. 4th ed. p. 4709. 8. Mulvaney, Jill. “Essential Oils and Steam Distillation”. Australian Journal of Herbal Medicine: National Herbal Association of Australia, 2012. Vol. 24. 4th ed. p. 140. 9. The International Journal of Aromatherapy. Elsevier Science Publishing CO., INC. 2000. Vol. 10. 1st ed. p. 16 – 29. 11. Wikipedia. Rub-A535. Last Modified: March 14, 2014: online http://en.wikipedia.org/wiki/RUB_A535. 12. Wikipedia. Prostaglandin. Last Modified: February 22, 2014: online http://en.wikipedia.org/wiki/Prostaglandin. This entry was posted in Essential Oils and tagged aromatherapy, Essential Oils, pain relief on January 13, 2010 by Keith Cleversley. Spruce essential oil has many properties and uses, but is primarily used to aid the respiratory system during coughs, colds, asthma issues and other breathing conditions. However, it is also used topically to sooth muscular aches and pains. Recent studies of its micro components have produced results that may indicate that spruce essential oil has anticancer properties – but, further research needs to be done. And of course, let us not forget its use in aromatherapy for its calming and elevating scent! Many wise men have said that nature is our classroom: after all, natural spaces are filled with information and organic wisdom. With nature all around us, we can reconnect with the world that is the foundation of all knowledge and learn all about what nature has to offer. One such valuable knowledge aquisition is an understanding of spruce essential oil and its many benefits. Spruce needles come from the Spruce tree, which is a member of the genus Picea – a family of about thirty-five other plants of the evergreen type . Spruce essential oil is derived from the needles of the spruce tree and has been used for its healing properties for quite a long time. Captain James Cook, a historically acclaimed European adventurer, actually made a “spruce beer”. 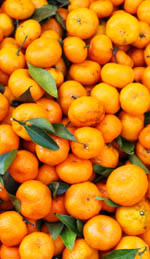 The alcoholic spruce beverage was used to prevent himself and his crew from getting scurvy ; the spruce is a natural source of highly concentrated vitamin C, a nutrient lacking in people who develop scurvy. 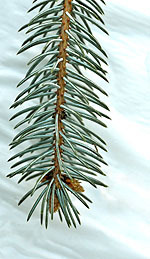 Of course, one might wonder how Captain Cook knew to use spruce – a plant native to the northern regions he colonized – and to this we can only assume that the generous hosts native to the region must have blessed him with their natural wisdom, sharing the healing qualities provided by the local plants. Presumably, the wisdom that spruce oil soothes aching muscles, improves breathing, and gets rid of lingering coughs that make the body weak and the mind irritable was passed from one generation to the next of the native peoples of North America. Typically in aromatherapy, spruce essential oil is used to promote uplifting and invigorating feelings . Spruce essential oil is also often used to clear breathing passages and aid overall respiratory health, especially when it comes to addressing a bad cough or bronchitis. Amongst the several other typical benefits of spruce oil is its topical application to aid with aches and pains, rheumatism and poor circulation . Black spruce essential oil is said to have antibacterial properties too, as well as providing support to the adrenal glands of our body that can become overworked and damaged from stress, poor diet and overall bad lifestyle choices; the oil can also be rubbed over lymphatic tissue areas or areas located near your adrenal glands to aid with proper functioning . Spruce essential oil and its uses are a good example of how elements of nature can be used for more intricate medicinal or healing purposes. Nature is our medicine chest and it is filled with naturally occurring chemical compounds that interact beautifully with the human body. Spruce oil is mainly made up of chemicals like bornyl acetate with smaller amounts of limonene, borneol, camphor, a- and ß-pinene, camphene, 3-carene, and ß-phellandrene . Spruce species also have phytonutrients (plant nutrients), such as the lignan – titled 7-hydroxymatairesinol – that are identified as possibly having a major role in the health of the human body. Spruce essential oil’s phytonutrients – primarily its lignans 7-hydroxymatairesinol – have been used in studies that indicate that it may interact with the cells in the body to normalize hormone secretion, creating balance and stability; it has primarily proestrogenic activity (promotion of balanced estrogen). These studies also indicated that the properties of the spruce may also have chemopreventative properties with respect to cancerous cell formation as well as antioxidant properties ; in laymen’s terms, this means spruce essential oil may be used in the treatment or prevention of cancer and prevent the need for synthetic chemical treatment. Spruce essential oil is used in bath oils, soaps, vapor rubs and other body products that are designed to ease discomfort related to colds, coughs and other respiratory conditions . It can also be blended with other oils such as lavender essential oil to make a soothing blend or red myrtle, eucalyptus and peppermint essential oils to add to its respiratory health and invigorating properties . If you are feeling particularly congested, try putting a few drops of spruce oil in a pot of boiling water on the stove. Bring the water to a boil and inhale the resulting vapors. You will notice that your respiratory function improves in moments! Although spruce essential oil is a relatively benign and harmless essential oil, it is always wise to seek the advice of a practitioner who is an expert in the use of essential oils and herbs. Yes, spruce essential oil is used in many over-the-counter nutrition supplements, but as always, these ingested forms of the oil are constructed with fine tuned scientifically developed tools and resources. Once you’ve done your research and want to seek the beautifully aromatic properties of spruce essential oil – do not hesitate to get your hands on a bottle of it and begin to bask in its wondrously invigorating aroma and healing powers! 1. Breathe Clearly. Community Pharmacy, November 17, 2003: p. 28. 2. Catty, Suzanne. “Spruce up your shower.” Natural Health – Academic Onefile, November 2012: p. 66. 3. Clear Breath Bath Oil. Beauty Counter, June 1, 1998: p. 29. 5. Food and Chemical Toxicology. Volume 30 (1), 1992: p. 117-118. 6. Jarrett, Linda F. “Aromatherapy: Advocates are convinced that scents can impact health & Well-being”. Executive Health’s Good Health Report, Vol. 35 (4), January 1999: p. 7. 7. Lawless, Julia. “The Encyclopedia of Essential Oils: The Complete Guide to the Use of Aromatic Oils in Aromatherapy, Herbalism, Health and Well-Being”. Conari Press, 1st ed., May 23, 2013. 8. Stubbs, Brett J. (June 2003). “Captain Cook’s Beer: the antiscorbutic use of malt and beer in late 18th century sea voyages”. Asia Pacific Journal of Clinical Nutrition 12 (2): p. 29–137. This entry was posted in Essential Oils and tagged aromatherapy, Essential Oils on October 8, 2009 by Keith Cleversley.